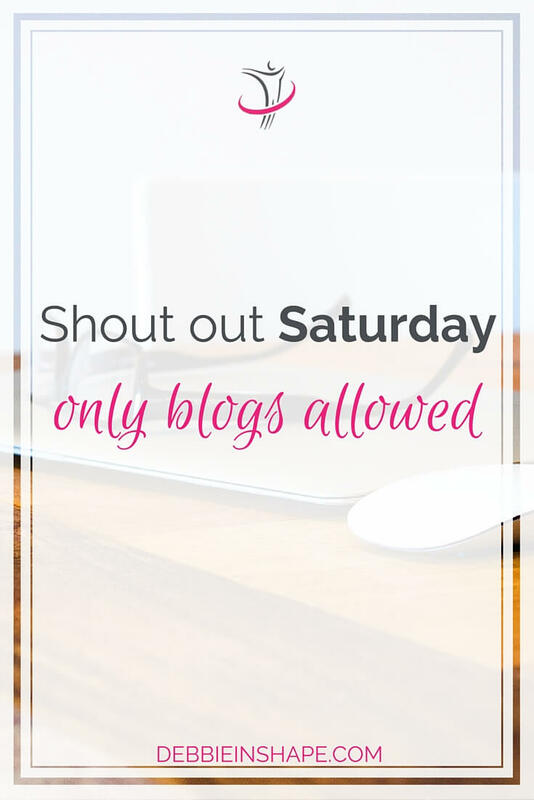 Here I am, making my life difficult by selecting only 10 sites for this Shout Out Saturday Only Blogs Allowed. It was a very hard mission so make sure you check all of them! I am turning 40 soon, and the truth is, I never felt so excited about life before. Kathleen takes it to another level with her great blog Lifestyle Building Blocks. It is about health, budget, social media and MUCH more! Check it out. The word to describe Sue is “awesome”. If you check her blog, you will understand what I mean. Her topics include healthy, travel and relationship. And you do not want to to miss her motivational posts either. Want to follow up Aimee’s fit journey and learn along with her, and then you must check her blog Forty by Forty. She also posts inspirational blogs that will help you get going on difficult days. I have to admit that Jen’s recipes caught my attention. I am a non-cook as I mentioned before, but nothing prevents me doing some research. And do not miss her social media tips. I have been learning a lot from her. I just adore Jess’ blog! She is an ACSM Certified Personal Trainer and an AFAA certified group exercise instructor. She shares recipes and explains how to perform exercises correctly. Awesome, isn’t it? Mary Beth is a runner and a fitness enthusiast. On her blog, you find recipes, lifestyle tips and product reviews together is MB’s awesomeness. Jill has got a very strong and consistent brand all across the board, and her blog is a must-visit. Not only she shares lots of qualitative information her recipes are simply out of this world. I am addicted to her overnight oatmeal with strawberries. Maybe it is me showing signs of food obsession, but there was no way I could leave Joanne’s blog out of this shout out. Her Pumpkin, Chia, Peanut Butter Porridge is simply out of this world. Mackenzie’s blog is like an oasis. If you are looking for beautiful images and words to warm up your soul, her site should be your destination. Make sure you join her linkup party Friday Reflections as well! Janine co-hosts Friday Reflections together with Mackenzie and it is not only the name of their blogs that are similar. Let yourself be inspired by great articles. If you have been featured in this ShoutOut Saturday (and on the previous ones as well, OF COURSE! ), I have a little something for you… Please grab the button below and place it on your side and spread in on the social media. Let’s others know how much your brand is loved. 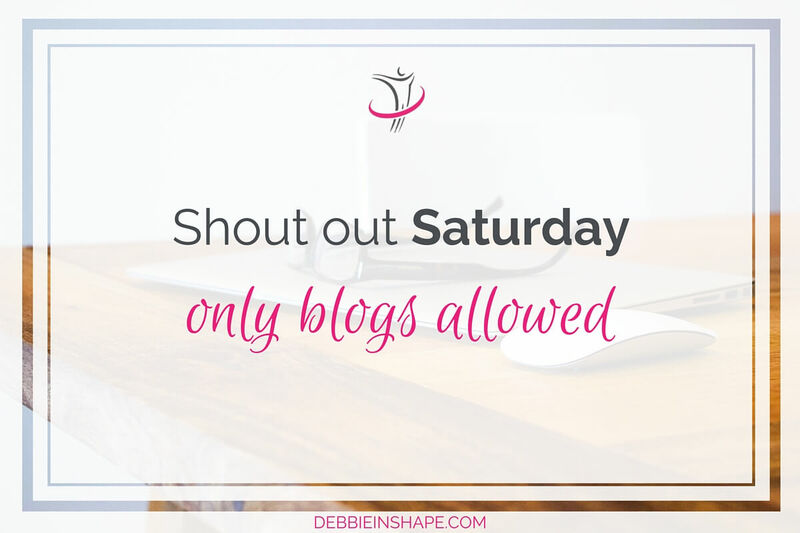 In the next days you will all be invited to join my community board Debbie in Shape – ShoutOut Saturday on Pinterest. It will be a pleasure to have your pins there! Do you know other blogs or social media profiles you would like to suggest for the next Shout Out Saturday? If yes, please leave me their link on the comments! I would love to stop by their pages as well.